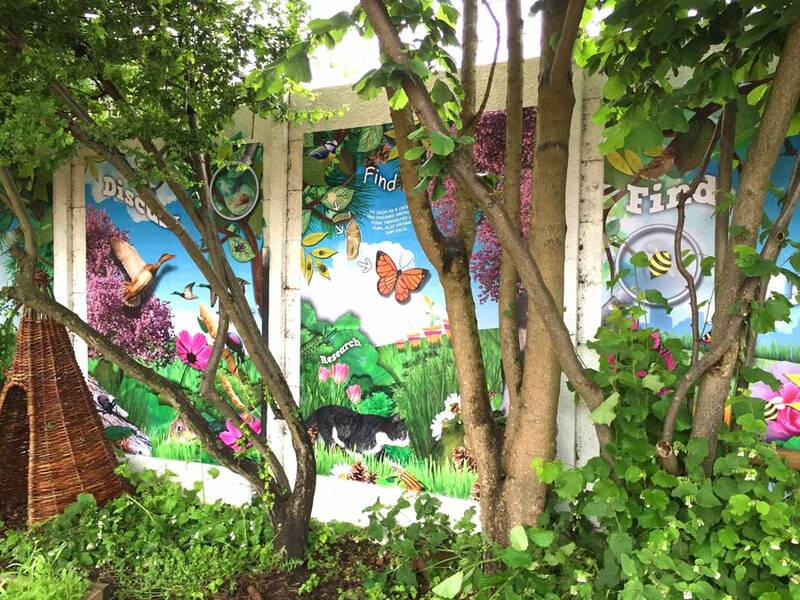 If you would like to get the children involved without us visiting your school the process couldn’t be easier as we provide easy to follow workshops, examples and instructions. 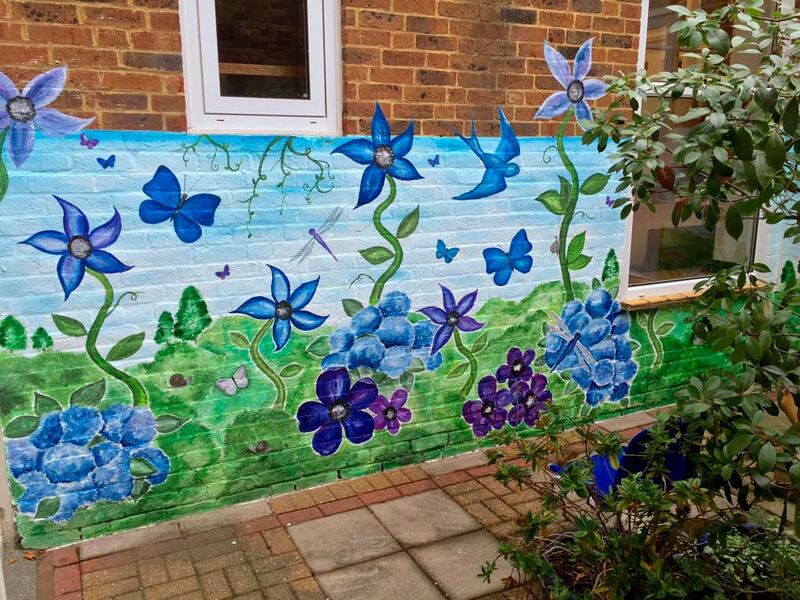 Once the workshop has been completed and the children’s work has been sent back to us via post, we can then incorporate their designs into the finished mural. 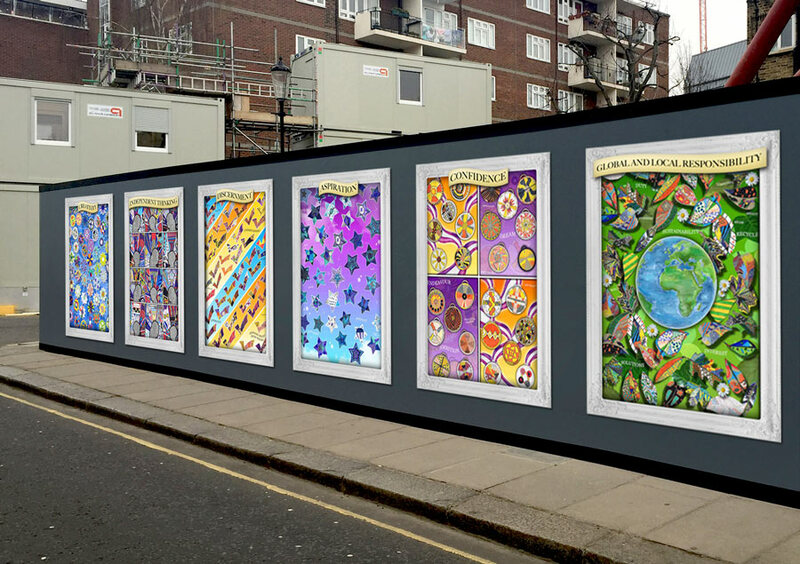 We will show you proofs along the way making sure you are happy with the finished artwork before delivering it to your school. You can include any words or logos too. Simply fill out the form and we’ll get back to you with a quote. 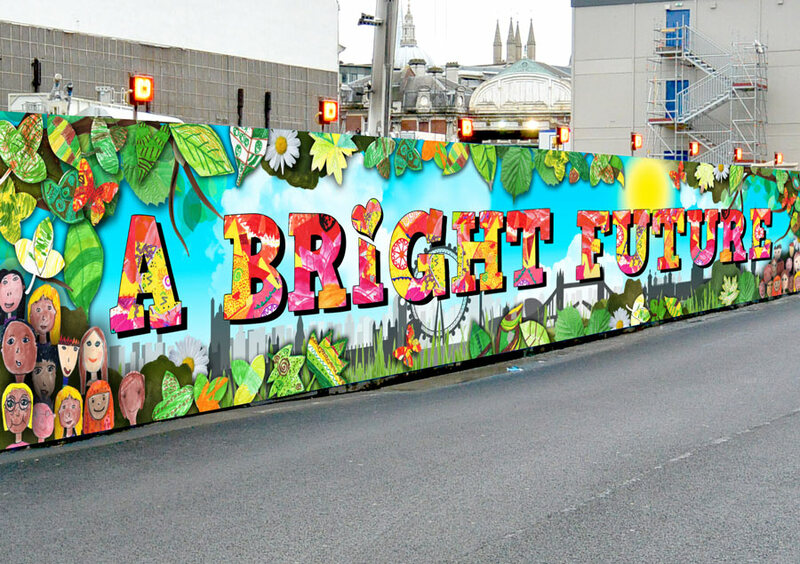 We also work with businesses, primary schools and the local community on various art related projects for hoardings, the workplace and communal spaces. 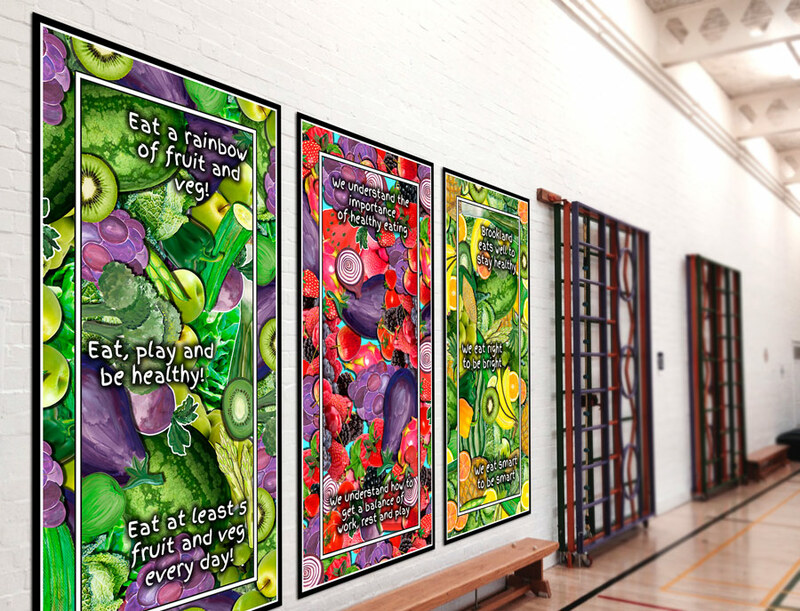 We also offer: Classroom display boards, bespoke design for schools, welcome signs and custom playground murals.